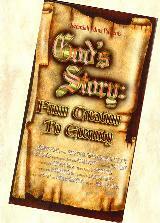 The 80-minute video, God's Story: From Creation To Eternity, presents the Bible from Genesis to Revelation. Throughout the Old and New Testaments, this panorama of the Scriptures highlights God's plan to rescue fallen mankind. Burmese man & wife watch God's Story together and both accept Jesus. He is 116 years old! Truly, over 80% of the world's population can not or does not read! "It will play well in any culture and really get Christ's message of hope across to the viewers." Bill Kliewer, Director of International Resources, World Vision International. "Even in the most primitive areas of the world, people have videos," say Wycliffe Bible translators. Dean Jones, renowned actor and dedicated Christian, narrates the English version. Foreign translation began in earnest in 1998. In just over eleven years, 268 languages were completed. Every month new languages are requested or being added to the list of available translations. We at The God's Story Project need like-minded Christians to stand with us to complete the translation of languages and dialects needed to blanket the world with God's Word. Our prayer is that people of all language groups, no matter how small, will receive this clear presentation of God's Word. 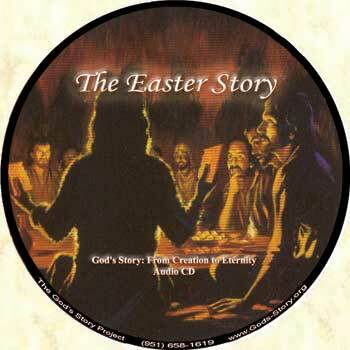 Link to Holy Hip Hop God's Story. Contextulized rhyming style reaches the urban lost, teens to 40's. Hip Hop may not be "your" style, but since this Spoken Word version of God's Story maintains the integrity of the message, it is penetrating a lost culture. If you missed attending 100th Language Celebration you can listen to the awesome first-hand testimonies. **SPECIAL UPDATE: Listen to an exciting eye-opening workshop for anyone involved with missions or sharing the Gospel! Reaching the Unreached in Unprecedented Numbers, the effectiveness of chronological storytelling. Click Here to Hear and See the complete script of God's Story along with beautiful original illustrations from the video. We hope you enjoyed visiting the above links and perhaps even listening to one or more of the audio-streamed languages of the whole video. Do continue coming back to our site to discover what new and wonderful praise reports we have posted as well as checking out the needs and language progress. 1... Oasis Tradepost Distributors of God's Story and many other cutting-edge Christian videos, books, prints , tracks and cassettes. 2... Christiananswers.net In multiple languages see all 80 minutes of God's Story video-streamed, or read the full script.